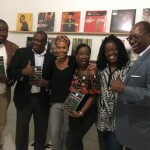 On Africa Day – 25 May 2017 the first We Will Lead Africa volume was launched at a vibrant event in Johannesburg, at the creative space, Ants. 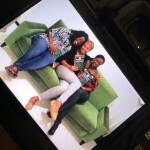 The evening was hosted by co-editors Yabome Gilpin-Jackson, Sarah Owusu and Judith Okonkwo and included an introduction to the We Will Lead Africa project, and audience conversations about everyday African leadership and the power of capturing and documenting these stories. Forward, onward, fully into the land of its potential. Into the realization of the dream of prosperity held by so many for so long for the countries in this place we call home. 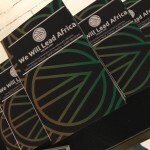 The first volume of We Will Lead Africa has launched, showcasing 30 stories from across the continent; these are stories of everyday African leaders who are shaping change and transformation in their day-to-day lives. These are but a sample of the movement we believe is already happening, but it tells a story of leadership. Leadership in and for Africa now. It is a volume that speaks to action and practice. Work already underway by individuals who have chosen to be the difference. The editors of the volume identify as global Africans, dreamers and storytellers, committed to imagining and leading the futures we want. A common passion for challenging, shifting and shaping the “African narrative” and an acute desire to capture and curate stories that too often go unheard, drew these three together. As a whole, this volume is an ode to individual excellence and collective impact; it brings to light stories of people driven to contribute to Africa with integrity and authenticity – to find their true path, a values-driven path, even if this path is challenging. It is a shift from viewing leadership in Africa from the socio-political lens or a theoretical lens, to a focus on leadership at every level. It neither denies the overemphasized challenges of the continent, nor privileges the Africa rising narrative. 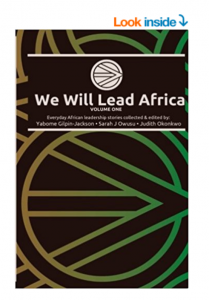 This volume simply draws on the power of personal narratives to highlight all the complexities of the challenges and inspirations of leading in Africa. 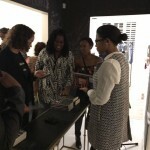 It is about the power of storytelling to inspire even more change and shape the futures we want. This volume is only the start, and the editors would like to hear from people interested in getting involved. Going forward, they hope there will be country or sector specific volumes, put together by everyday leaders from all over the continent. The volume is available now for purchase (paperback and kindle versions) on amazon.com, here.